The movie Flesh Feast follows Dr. Fredricks who is a plastic surgeon. She used to be a resident of a mental hospital but now works with older people trying to regain their youth. She discovered that her new patient is none other then Hitler. Her mother was Jewish and died in a concentration camp during the war. She now has her chance to get her revenge. 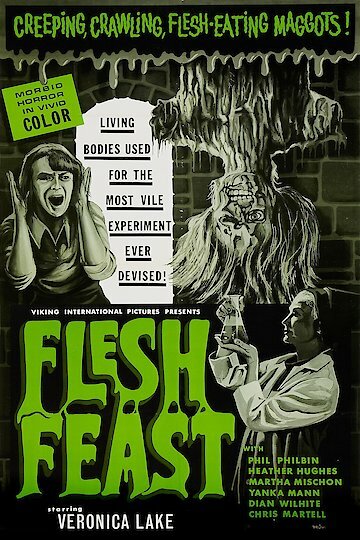 Flesh Feast is currently available to watch free on Tubi TV and stream, download on demand at online.